If you’re looking to integrate SMS messaging and even voice calls to your apps or website, Twilio is the go to provider. Or, at least they used to be. As one of the more recognizable names that offers a Platform as a Service for Cloud based APIs, you have to pay to play with Twilio. Once the ruler of the market, they are now joined by a number of alternatives. 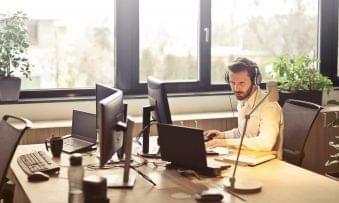 From the wholesale carrier, Bandwidth.com, who decided to cut out the network middle man and offer their own Cloud APIs, to other players working with Tier-1 carriers, it can be difficult to distinguish which Twilio alternative will work best for your end goal. First off, Who Is Twilio? Twilio provides an environment for developers and companies to create, host and deploy communication applications. Users can build their own custom applications or easily and quickly integrate communication functions in their existing website or apps. For those that don’t know, an API, in super basic terminology, is essentially an interface – a set of instructions – that tells one software how to interact with another piece of software. With communications APIs, users can easily embed text messaging and even phone call capabilities into their existing websites and mobile apps, or even build custom communications platform from the ground up. Before we take a look at Twilio alternatives, its a good idea to understand what Twilio is doing right. Besides a strong understanding of developers and customer needs, Twilio utilizes over 1,000 mobile carriers in over 150 countries to handle the back bone of their voice and SMS services. The provider boasts high levels of dependability on their website – “Twilio leaves nothing to chance, rigorously evaluating carriers to rule out SIM farms and carrier filtering. A unique feedback API is then used to actively monitor quality and adjust routes.” With their massive network, Twilio can really take advantage of priority routing and choose from the best carrier to handle your data. Twilio’s pricing for incoming and outgoing calls are charged on a per minute basis, and predefined SMS packages make it easy to choose a plan best for you. While 24/7 support is available to all users, varying levels of support plans prioritize higher payers. So Who are the Competitors? 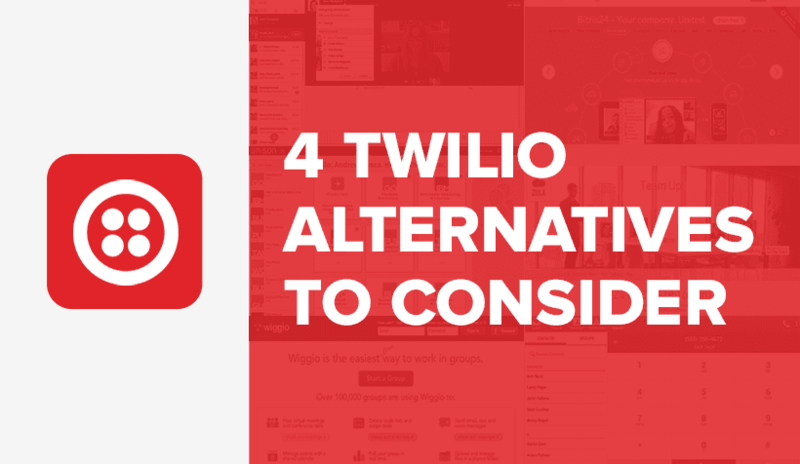 Previously, Twilio was the go-to for cloud based communication APIs. That’s not to say they have declined in anyway, but as their popularity grew so did the market. Beyond Twilio, there are now competitors that decided to cut out the middle man, as some wholesale carriers that previously provided the calling network realized they too can offer cloud APIs. Others followed Twilio’s example and partnered with existing Tier-1 network providers to stay in the race. 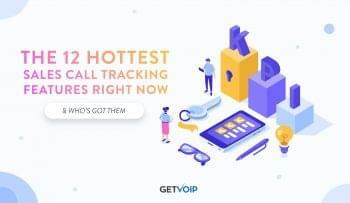 As most of the service is relatively the same, the big points to note when comparing these providers would be pricing, network availability and reliability, global presence and customer service. You’ve probably used Bandwidth enabled services before without realizing it. As the network provider behind some of the most prominent communication technologies on the market like Google and Skype services, and one of the original carries for Twilio, Bandwidth decided to take then on at their own game. By removing the middle man of a network carrier, Bandwidth can cut down costs while providing the same services and APIs that Twilio does. A drastic price cut as well, when compared to Twilio’s $1 a month per dedicated number, Bandwidth only charges $0.35. As a network carrier, Bandwidth doesn’t have to worry about partnering with other providers or carriers while still maintain a robust network throughout the US and Canada. While other carriers have followed suit, Bandwidth was the first telecommunications provider to their own cloud API service, specifically for voice and messaging functionality. Customer service is available through online tickets or phone support, with a specific 24/7 emergency service outage number, although email is their preferred method as any incoming email will instantly generate a support ticket. It is important to note Bandwidth does not sell or host Short code numbers, while most other competitors are currently equipped to do so. With one of the largest global presence for communication APIs, Nexmo offers SMS numbers in over 35 countries, and voice numbers in over 90 countries. While not their own carrier like Bandwidth, Nexmo operates on a direct carrier network so they can offer numbers and service in a growing number of markets. Adaptive routing, like Twilio, ensures messages will be delivered through the best possible route with the least traffic. Something unique to Nexmo, with flexible pricing, users can be charged on a “per second” basis as opposed to “per minute” – so you’re not throwing away money for extra time you don’t even use. Customer service is available 24/7 for all users via email, with a guaranteed response time of two hours during the week, and four hours on the weekends for urgent issues. More minor problems will be handled within six hours. Users can upgrade to premium support for $5,000 a month and gain access to phone or chat support, and response times as short as 30 minutes when things get really bad, or one hour for minor issues. Unlike Twilio, but in a similar fashion to other competitors, Nexmo doesn’t charge users for any incoming SMS messages. Something no one else does, Nexmo even supplies a shared short code number for free. Trailing a bit behind Nexmo and Twilio’s vast global reach, Plivo still supports a large range of locations with over 50 countries for voice numbers, and 19 countries for SMS messaging numbers. A minimum of two local carriers per country offers a different solution to any network issues, with a 99.95% uptime service level agreement. Plivo to offers an intelligent call routing system to ensure your connections are made on the least populated route. Free call recording and storage are some extra bonus features that helps Plivo stick out among the competition. Every customer with Plivo has access to 24/7 support, but contacting methods are limited to an online ticket system, through a Contact Support form. During the week for regular business hours (6 a.m. PST to 6 p.m. PST) Plivo claims all support requests will managed based on their different priority levels. Priority 1, business critical, is limited to complete loss of service, outage or failure of business critical feature and has a guaranteed response time of two hours. Lesser priorities, like degraded quality and a simple inquiry will be handled within 6 or 24 hours respectively. It is interesting to note priority isn’t based on level of pay, but rather level of issue. Sinch’s website proudly displays a counter of one million users of their communication enabled apps, a 99.95% uptime guarantee and availability in all 196 countries around the world. Of course Sinch provides data-optimized routing, a standard feature among our list of providers, but does not provide much information regarding network carriers beyond a description of “HD quality using tier-1 carriers.” They provide SMS short codes with free incoming messages, and a unique instant messenger offering, for free for up to 25,000 users per month. Unfortunately Sinch seems to lack in customer service compared to the other players. Users can only contact support through email, and there does not seem to be phone support or even response time guarantees or priority routing for support tickets. However, Sinch does have their own community help page for developers to discuss issues with any APIs or SDK platforms. Bandwith is their own network carrier, in fact one of the carriers that host Twilio services. Cutting out the middle man ensures lower costs and quicker service if things go wrong. Support is available through phone or an online portal, and varying levels of service let you pay for only the support you need, or the extra care if that’s what your service requires. Free incoming SMS messages and the lowest cost of all competitors makes Bandwidth a great choice for those concerned about pricey providers. Recently acquired by Vonage, Nexmo has a broad range of supported countries, coming in second for global presence behind Twilio. Nexmo has a heavy focus on international SMS and voice API’s, beneficial to any business that operates overseas. Free shared Short Code is a boost over Bandwidth’s lack of short code services, and Twilio’s charge for Short Codes. Unlike the other competitors, Plivo offers call recording and call storage for free to users. Plivo works with over 1600 Tier-1 carriers in 200 countries and real time delivery reports, Plivo ensures they have all the basis covered and your messages make it to the other end. Free incoming SMS for both short and long codes. Free 24/7 support that prioritizes tickets on panic level, instead of payment options. Free instant messaging service that supports up to 25,000 users a month. The first 25,000 minutes of app-to-app calls are free with Sinch. 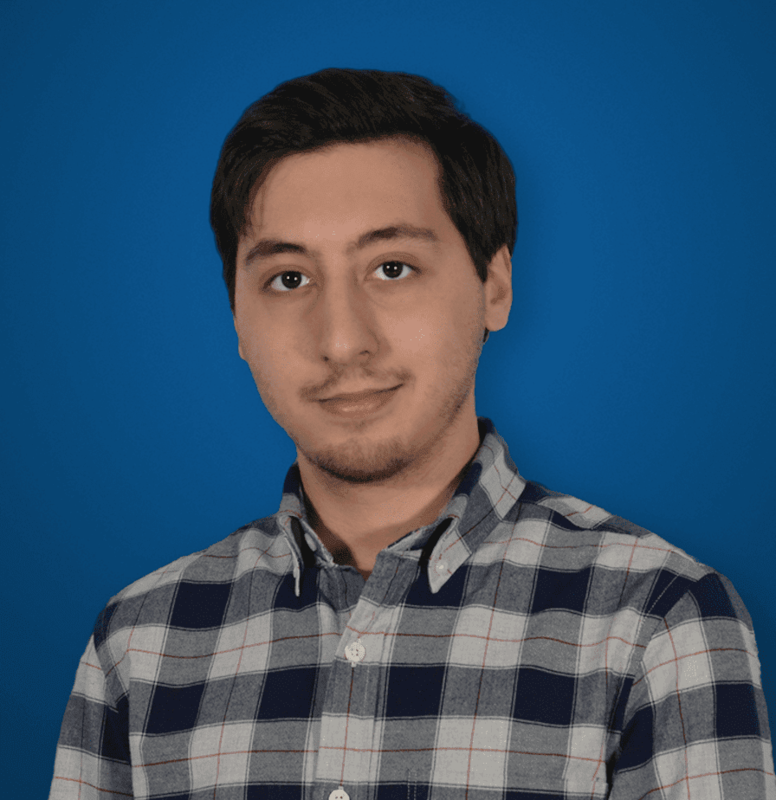 Sinch’s REST API allows users to integrate calling into their backend to maintain control of user verification and status updates. Use our QuoteMatch™ tool to prescreen SIP Trunking Providers for your needs. You are missing quite a bit of zeros here… Place value is everything. Not sure how Outgoing Local calls could be more expensive than Outgoing Toll-Free calls. I am totally against recommending Plivo to anyone, their support sux big time, I signed up for an account and paid $100, my payment is showing PENDING, I’ve been emailing support back and forth for 2–3 days so far and no result. First they promised that my account will be active after 6 hours after I send them the required documents, after I sent the documents, its been 2–3 days so far and still NOTHING! I requested a refund and they didn’t give me a refund either, soon I will contact my credit card company to dispute the charge and will file a report with BBB.ORG and several internet review sites as well, I feel like I’ve been scammed, perhaps most people don’t catch on to this and the company hopes that people will forget about the money they deposit and at the end the company is the winner. I am very upset with Plivo it sux. That is my review and complaint and complaints about Plivo. As someone else alluded to, you show outgoing calls on bandwidth as “$0.100 per minute” when it is actually “$0.010 per minute”. Displayed prices for outgoing sms are 10 time cheaper than reality… Twilio outgoing for example, are 0,075$.